So, close your eyes. Feel the sun on your face. Hear the stones crunch under your feet, and the rustling reeds and chirping birds. And step into nature and truly experience her power. Here’s a list of the top walking safaris in Zimbabwe that’ll put you right back in touch with nature. But first, pick the right area! Where in Zimbabwe should I go on walking safari? 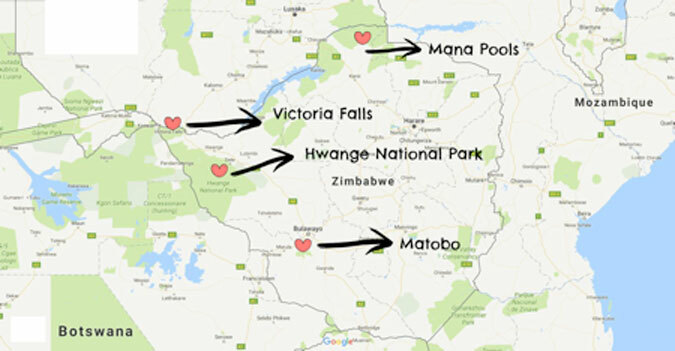 Zimbabwe has many national parks and green areas, which are dotted around the country for nature lovers (see map below). Victoria Falls is the most visited part of Zimbabwe. It is home the Victoria Falls Airport where all international guests arrive, and showcases the mighty Victoria Falls and the same-named, quaint town. It’s here that you can join the Victoria Falls Anti-Poaching Unit. But to truly step out into the wilderness, you’ll need to leave the city. Close to the Kalahari, the Hwange National Park is drier than the rest of Zimbabwe and very sandy. In the rainy season, it’s super green but the summer months are dry and arid. 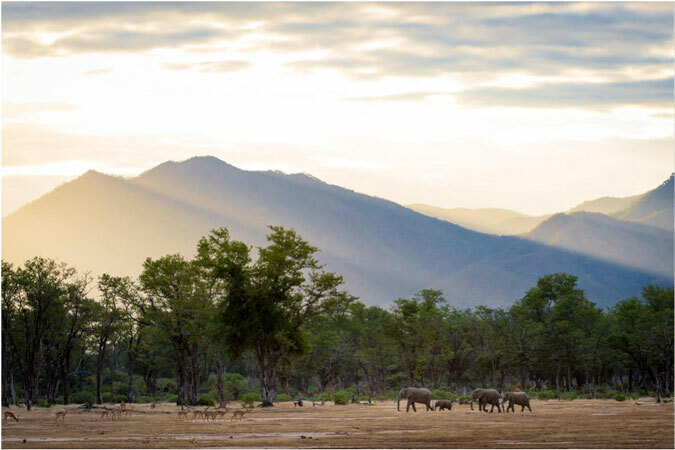 Mana Pools is snuggled in the north of Zimbabwe. 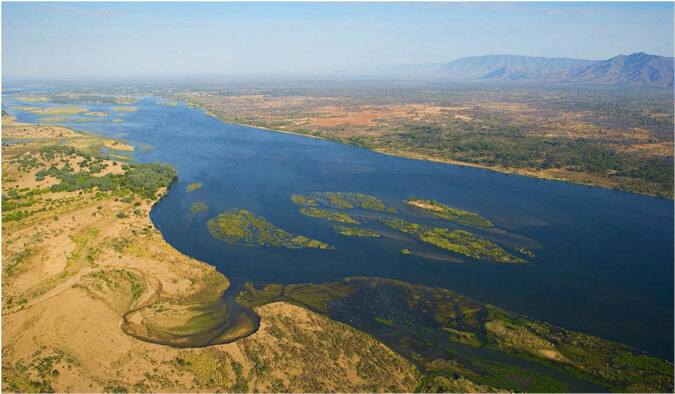 It’s very unique as it’s a region of the lower Zambezi River where the flood plain turns into an expanse of lakes after each rainy season. Walking safaris are not just about seeing bugs, animal droppings, and paw prints; exciting and adrenaline-pumping walking tours are on offer too. 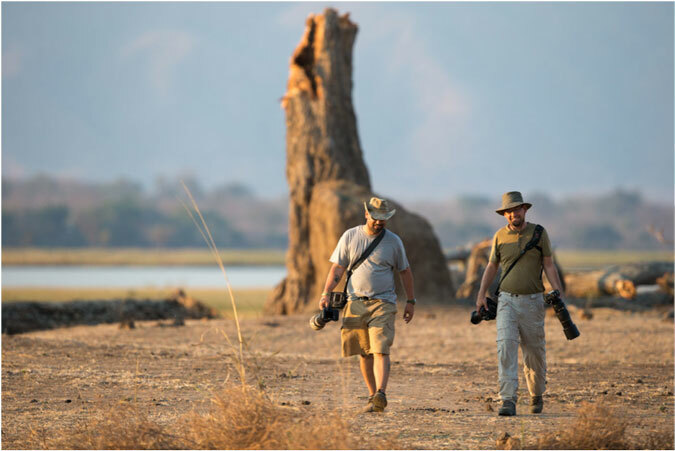 If you’re looking for a walking safari that lasts a couple of days, Natureways specialises in photographic and walking safaris in the Mana Pools wilderness area. They offer a 4-day walking safari that begins near the Ruckomechi river and Zambezi river and continues along the Mana Pools shoreline to Illala Camp across from Chikwenya Island. But it’s also possible to do a walking patrol with the anti-poaching unit who protect the rhino. The Victoria Falls Anti-Poaching Unit is a non-profit organisation that takes guests into the bush to assist with their daily conservation efforts. 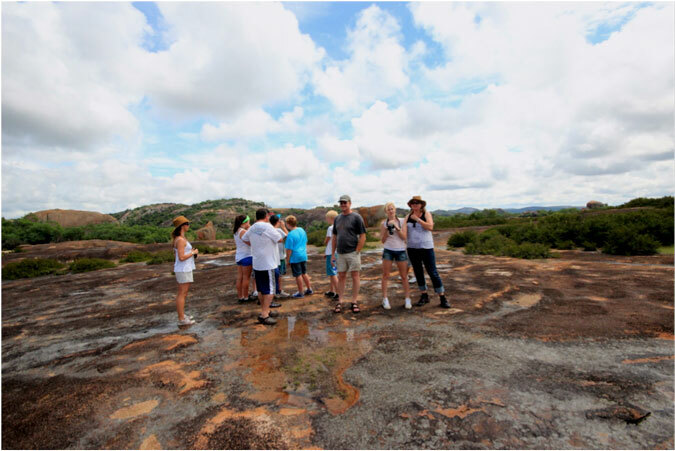 In the south of Zimbabwe, Camp Amalinda offers historical walks in the impressive Matobo Hills with over 2000 San rock art sites. “They hold spiritual significance of bygone rituals – guests will leave with the knowledge of their trials and tribulations,” says owner Sharon Stead. 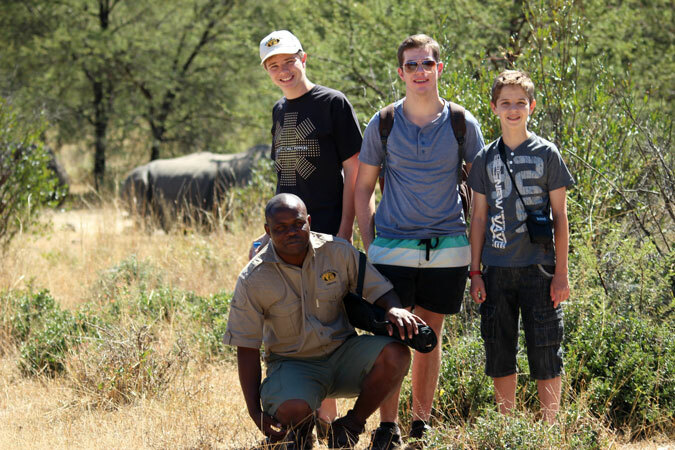 The camp also offers walking safaris with black and white rhino in the Matobo National Park. “The most unforgettable safari experience is approaching these magnificent, endangered species in their natural environment,” says Stead. Guiding is passed down as a tradition from one generation to the next. Zimbabwe still has large rural communities, and many people still live very connected to the land and its animals. The tourism industry in Zimbabwe values its educated, trained and professional guides. “I believe that Zimbabwean guides are some of the best trained and knowledgeable guides in Africa. The apprenticeship that is required is not replicated anywhere else in Africa. The overall literacy of Zimbabwean guides, means that guests can expect clear, enthusiastic and concise communication, to give an overall high quality experience,” says David Waddy from Big Cave Camp. Guides at Elephant’s Eye Hwange offer walking safaris that showcase the best of the Hwange National Park and its surrounding, fenceless concessions. “We always get positive feedback from our guests at Elephant’s Eye. 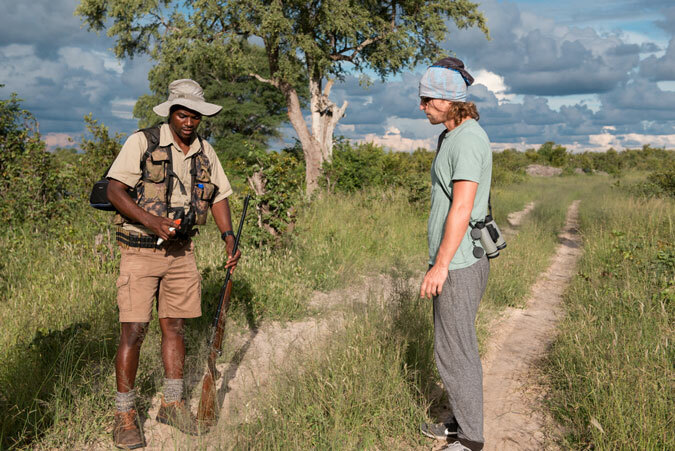 Zimbabwean guides are friendly, and exceptionally well-trained especially when it comes to their country and wildlife,” says Mariska Yntema from Jenman African Safaris.